Though WWII was raging in Europe and Argentina next door was experiencing unrest, the 1940’s were a relatively stable and prosperous time for Uruguay and this shows up in the architecture and antique goods which I discovered there. The country profited from beef supplied to other countries and the more well-off citizens lived a good life. Their clothing and household goods reflected that. This beautiful frock was hand-tailored in a dressmaker’s shop. All of the embellishment was applied by hand and the tailoring is hand-done, too. As you can see, it’s loaded with beads and sequins, plus all the little button and loop closures up the back. Madame must have had a household staff, one of whom helped her dress and looked after her wardrobe. I love the 1940’s styling with the big, padded shoulders and ruching at the hips. These funny hip details were flattering only to slim figures, but they’re loads of fun, anyway. So, a real treasure find. I’ll show you her younger sister tomorrow . . . . . . . . . . . . . . . . . . .
It’s not as fine as a couple others I have, but just as wonderful with the big shoulders, pockets, arm slits and silky lining. Very good condition, too – just a little wear to the fur along the seams here and there. I’ll be able to wear it more casually than I would my others. Some woman who didn’t have the money then for a more expensive fur enjoyed the glamour of that time in spite of the Depression and looming war. By a furrier in Winnipeg, the animals whose pelts were taken would have been trapped in the midst of Canada’s woodland and prairie country and might have represented the livelihood of some rural family. As much as I reject the modern fur trade, the hardships of those times were real. As it is, I can enjoy this antique piece, too, and wear it until it’s done. Today, faux fur pieces have become so sophisticated and beautifully-made that there’s no reason to support the fur trade. Cherish the old furs for their bygone charisma and say good-bye forever to animal cruelty. MIXING IT UP A BIT – HERE’S A NEW FIND THAT WOULD GO WONDERFULLY UNDER THE RED DRESS OF A FEW DAYS AGO . . . .
A gorgeous 1950’s nylon full slip by Dorsay. Such beautiful lingerie! The workmanship and materials can’t be rivaled by modern versions. Just look at the tiny pleats on the bodice and embroidery at the hem – plus lace, etc. and wider straps. the heavy fee of the nylon fabric is a delight, too. I’m sad that it’s too big for me, but I have many lovely others and, I’m sure, more on the way . . . . . . . . . . . . . . . . . . The Magicvintagespy knows what to do. So, I mixed a couple of dye colors that I had leftover from another job and expected to have a soft, neutral brown. Instead, I got this WONDERFUL lavender/bronze color! LOVE IT!!! The stains are history and the hem needed raising anyway et voila’. The moral : Put out the vibes and never give up. 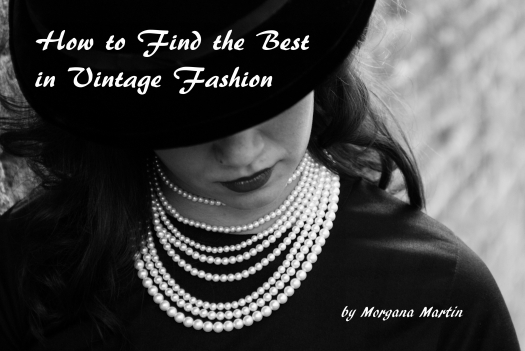 KNOW YOUR STUFF, and the perfect find will materialize in your wardrobe.